One of my goals is to provide sewing and knitting patterns for download on my blog. I mostly knit and sew according to patterns I buy, hence I haven't written lots of patterns myself (yet). However, I am happy to post my first pattern today! 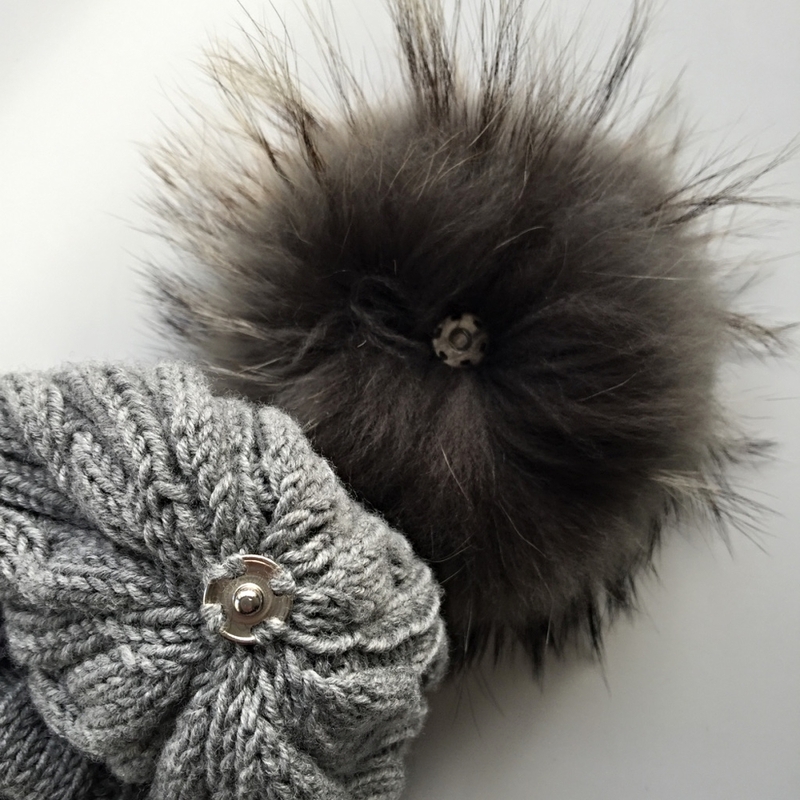 It's a knitting pattern for a bobble hat with a (fake) fur pom pom. 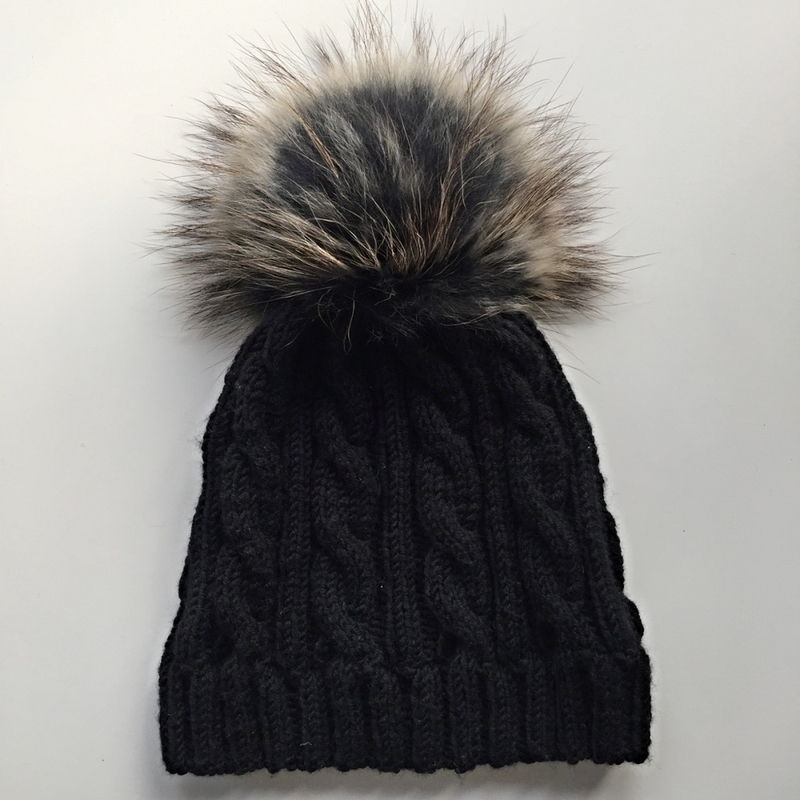 It's knitted with a set of 5 knitting needles size 4mm and 100% virgin wool. Hence it is very warm, soft and doesn't itch at all. The pattern is available in English and German! Difficulty: advanced because of cable pattern and knitting in rounds with a set of 5 needles.